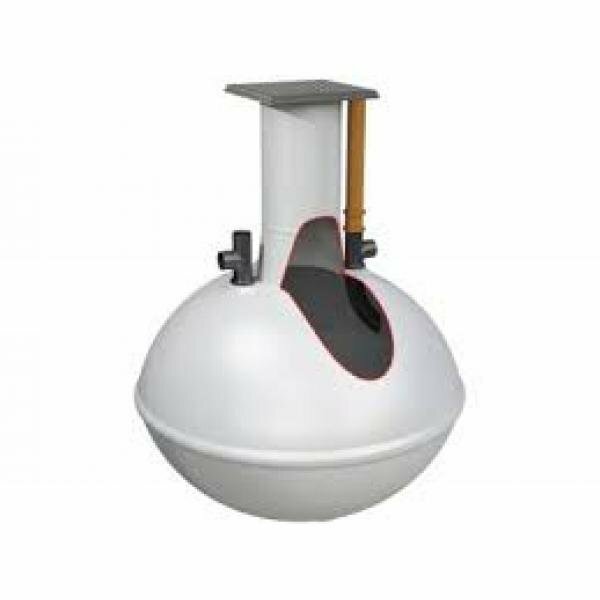 Clearwater septic tanks are designed to meet both the installation requirements and the standards of discharge specified by BS 6297:1983. Clearwater tanks are used for domestic sewage disposal where connection to a mains sewer is not practical. These septic tanks achieve a high degree of settlement, producing a quality effluent for discharge to a land drainage system. 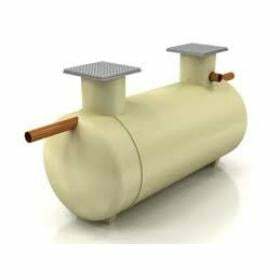 Manufactured from GRP these tanks are strong, light, chemically resistant and watertight. At Tanks For Everything this septic tank is supplied with a pedestrian duty chamber lid and frame as standard! * based upon upto 150 litres per head, per day. Full installation instructions and dimensions can be downloaded from our Product Data. FREE delivery of this product includes the whole of the UK Mainland and is subject to suitable access for a large goods vehicle. This product is delivered to the kerbside. It is the customers responsibilty to provide suitable mechanical offloading facilities (eg. JCB evcavator or loader) to offload this tank. If you need any assistance please contact us on 0800 0568 350 prior to purchase - please remember we are here to help! We aim to deliver all tanks within 3-10 working days from order and payment, however some special orders (including steel products) may take longer. If your order is time critical please contact us before ordering so we can confirm delivery dates. Parts are dispatched within 24 hrs subject to stock availability and please allow 2-3 days for delivery (depending upon location). For convenience all single skin and bunded plastic oil tanks upto and including 2500 litres in capacity are delivered on a vehicle with a tail lift to allow easy off loading at the kerbside. Please look for our "Free Tail Lift Offload" icon to confirm which products are included. Unless otherwise agreed by Tanks For Everything (TFE) offloading of all other products are the customer's responsibility. Delivery will be between 07.30 and 18.30 on the expected delivery day. AM/PM Deliveries are available for some products, however these often incurr an additional charge, please contact us for a quote before ordering if you require this option. FREE delivery includes all of England and Wales mainland destinations, however certain manufacturers charge extra for deliveries to Scotland and the Highlands. Please contact us on 0800 0568 350 or click on and complete the "Get A Free Quote" tab on the right hand side of the product page for a delivery quote prior to ordering for these locations. Deliveries of larger products (typically over 2500 litres) require delivery by an articulated vehicle. Please ensure the roads and access point to your delivery address are suitable for a 45ft long high sided articulated vehicle. If access is an issue please arrange delivery to a suitable alternative address where access will not be an issue. The ongoing delivery to the final desitnation will be your responsibility. If a delivery needs to be aborted, TFE reserves the right to pass on any additional delivery costs, so please if in doubt discuss this with us at time of order. Whilst every effort will be made to deliver on the expected delivery date, TFE will not accept any charges for labour or compensation claims arising from failed deliveries. TFE strongly recommends that tanks and equipment are ordered in advance of installation allowing sufficient time for any issues to be addressed. Please remember we are here to help and if we can be of any further assistance at any stage please do not hesitate to contact us on 0800 0568 350 or 01172 444099. Clearwater septic tanks are designed to meet both the installation requirements and the standards of discharge specified by BS 6297:1983. Clearwater t.. 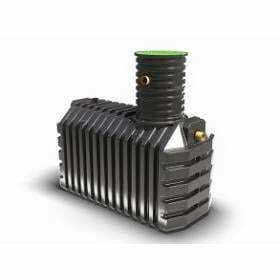 These Clearwater Package Sewage Treatment Systems are a versatile and cost effective solution. Using trusted aerobic biological processes for the trea..
Clearwater shallow dig septic tanks are designed to meet both the installation requirements and the standards of discharge specified by BS 6297:1983. ..
Kingspan Klargester has developed GAMMA as a direct response to market needs – an affordable and reliable septic tank that is easy to install in a ran..
Tricel Vento septic tanks are manufactured from high density polyethylene using the latest in blow moulding technology. 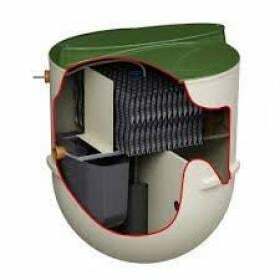 This market leading product..
Conder Millennium Septic Tanks by Premier Tech Aqua are low profile septic tanks used for domestic applications where mains drainage is unavailable. T..